routine patrols as agreed with you. understanding within the Security Industry. We are proud to say, we are the one of the few companies that can arrange for security services at a very short notice. We will not be working with you for the money alone but we have a genuine desire to contribute to the success of your business and also work with you according to your needs supporting you through our professionally trained team, by providing you with a reliable and flexible 24hrs service at a fair price. Registration Number 2017/864 EA:35 Operates a Quality Management System which complies with the requirements of BS EN ISO 9001:2015 for Security Services: Supervision Services, Security Guarding and Mobile Patrols, Key holding and Alarm Response which incorporates the requirements of British Standard Code of Practice. Unique Frontline Protection (UFP) is a small-medium size company, established in May 2005. 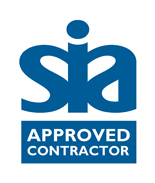 Unique Frontline Protection holds SIA approved contractor status for the provision of door supervision, security guarding and key holding response services. The Assessment is conducted by the CCAS encompassing conformance to the requirements of BS7858 with BS 7960 (Door Supervision), BS7499 (Security guarding) and BS 7984 (keyholding response services). UFP was established with the aim of combating the current security challenges facing the commercial, retail, events and door supervision. UFP specialise in providing an efficient and robust security service tailored to meet our client specific requirements. UFP pride ourselves with excellent skilful and trained staff. UFP have a senior management team who have worked in most of the top security companies in the UK. With their technical know how and the wealth of experience they have in the security service, UFP believe that we can provide you with the best customer services. UFP services are unique and tailored to the needs of our customers and we pride ourselves of being the best in providing security services to our clients. Our business expectation is to protect your business and services from theft, disruption and vandalism from anyone who accesses your business. We at Unique Frontline Protection (UFP) can offer you efficient security services that will meet your expectation through our highly trained, dedicated and trustworthy staff stationed at your preferred location. Our service is tailored to meeting your needs. 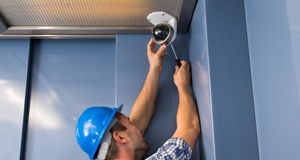 We know theft and shoplifting are major problems in sales environment and often times they are not captured by CCTV. UFP security personnel will deter intended shoplifter or trouble maker by conducting routine patrol as agreed with you; apprehend shoplifter and call for support and prevent/ report vandalism. Where your business is to man entrances and maintain orderliness, our high trained security staff with good customer care skill are available to provide that professional security service to promote your business. We pride our company to be very efficient, trustworthy and reliable which is mainly due to the staff team; our staffs are highly trained, CRB checked and SIA qualified. We respect our customers and take their business seriously. You have made a brilliant choice to enquire about UFP; we are there to render excellent security services that will meet your business needs. All you need to do is tell us what, when and where you want our service and leave the rest to us. To act in the best interest of our customers at all times. To act with integrity, honesty and openness. To seek improvement continually in all that we do. To establish an environment and a culture where talent can flourish to its maximum. Excellence, creativity and innovative thinking is the standard we strive to achieve for all our customers. Unique Frontline Protection deliver security Services within the London area. 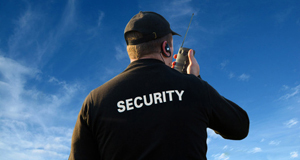 We deliver our services in a professional, efficient and responsible way, to deal with the changing needs within the security industry authority, we feel our service charge is moderate and we are open to negotiation as we understand the need to maintain your patronage to keep us in business. UFP has built a reputation based on strong passion to meet the demands of every individual client. 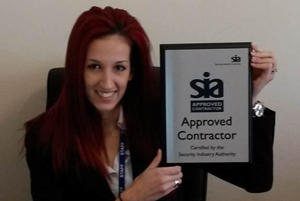 Our staff not only look after security, but look after the business needs of our clients. We constantly evaluate and adapt our methods to provide the best possible solutions. Our aim is to be professional including excellent good customer service orientated. Unique Frontline Protection has an excellent reputation for customer care. We aim is to deliver high level door supervisor solutions for a growing number of impressive wine bars, pubs, restaurants, night clubs, event security, birthday parties etc. We also deliver new unique services to our clients and our objective is to work closely with our clients in other to share ideas on how to contribute more to the business. Our strength is our staff and our function is in line with code of practice to you is a better service with peace of mind that’s why we say you should leave all your security worries in our hands. Our strategy is to maintain the top spot as a security outfit based on what we do, how we do it, and how we relate with our customers, the general public and law enforcement agents. When you choose UFP Limited for your security needs, you can be confident you’re getting the very best services that you required, because we do what we say. UFP is a dynamic security company. We provide Security Services of the highest professional standard and are committed to keeping your costs down without compromising the service you require. I wanted to use this opportunity to thank you for your security services of your company that as helped my business in giving better service over the last four years and it as also being great working with your staff, which most of them have being very professional, many thanks to you all and wish you the very best in all you do in helping others. I am pleased with the services provided by UFP. The professionalism, outstanding customer service and dedication to meet client needs are exemplary within the industry. The staff are courteous, always on time and alert on duty. We can only encourage the management of UFP to keep up the very high standards they continue to set in relation to understanding and meeting the requirements of their clients. I’ve been using Unique Frontline Protection Limited for 5 and a half years now, it has been great using your services. I want to thank all the management at UFP including Emmanuel for the great job and services they have been providing, I want to say the management should keep up the good work as I will continue to use their services. I used this Company for Security at my Birthday Party.the Booking process was Great they offered me as many Security personal as I wanted when they attended the Venue of my birthday they were very professional and were very helpful with any questions we had I would highly recommend this company if your holding a private party. 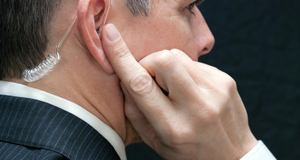 We provide active or passive security services tailored to the needs of our customers. UFP is aware of the present disposition of our changing communities and acknowledge the need to provide that extra vigilance. Our expectation is to protect your business and services from theft, disruption and vandalism from anyone who accesses your business. We at Unique Frontline Protection (UFP) can offer you efficient security services that will meet your expectation through our highly trained, dedicated and trustworthy staff stationed at your preferred location. We know vandalism is a major problem in the commercial sector and often times they are not captured by CCTV. UFP personnel will deter intended unauthorised persons by conducting routine patrols as agreed with you, apprehend and call for support and prevent/report vandalism.